1. Individually: boost motivation and workability, thus increasing the rate of women participating in work-life, through qualification of consultants and the development of a manual. 2. Enterprises: supporting working conditions suitable for womens’ needs and personnel development through the transfer of Best Practice, qualification and coaching. 3. Organisations: Competences and commitment of 45 chambers and 15 universities to support innovation and equal opportunities. 4. 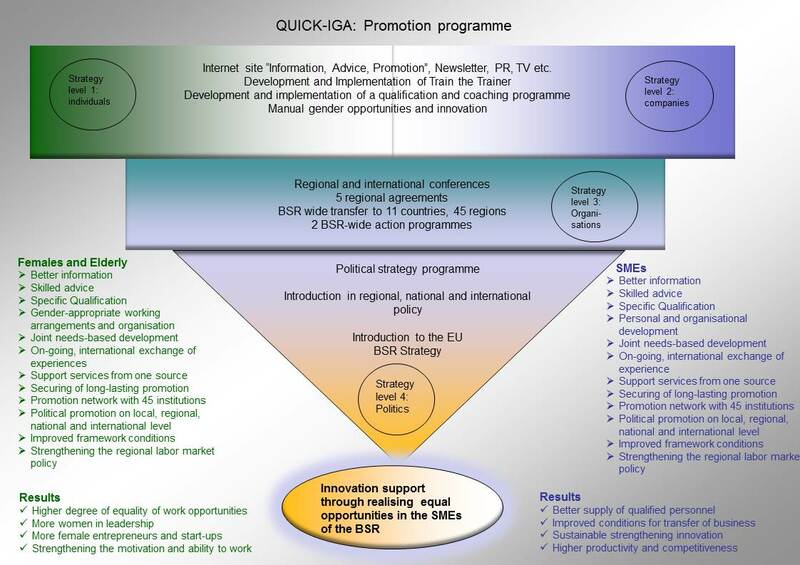 Policy: development of a strategy programme, 5 National/regional agreements and 2 action plans to promote equal opportunities and innovation in SMEs.